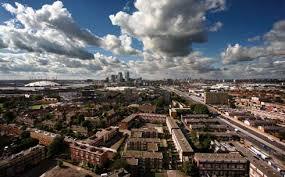 Newham is a borough, as the ‘Borough of Newham’ sort of gives away. It sits only a couple of miles outside of the City and just above the Thames. In recent years Newham had a lot of coverage national and international for being one of the sites of the Summer Olympics in 2012, a couple of parks and stadiums in Newham were used. There have been studies done which show that we have a very high population of young people, the highest in the whole country. With so many young people there’s a youthful energy in Newham and lots of people want to live here. There’s celebrities aplenty in Newham, be it musicians, athletes, actors of other famous artists. There’s something for all ages and all inclinations in this borough: Museums to night clubs, markets to parks, and libraries to shopping centres. If you can’t find something to accommodate your tastes and interests here then you can’t have looked all that hard. Our favourites would have to be the any of the many markets there is. No surprise there. We’re in the food industry; we’re biased! For us Queen’s Market is a real blast and we get to it as often as we can, there’s always great new produce and food ideas we pick up on at the markets, a lot of which we incorporate into our hog roast menus so that you get the most exciting, unique spit roasts. If you’re hiring a hog roast machine – Oh, we didn’t tell you? Yes, you can hire machines – then we’d really advised checking out the farmers market for any number of great ingredients and ideas, and not to mention all the butchers there are out there. If it’s a pig you’re planning to cook with your hog roast hire Newham then know that you can buy a pig from us when you’re making your hire booking. 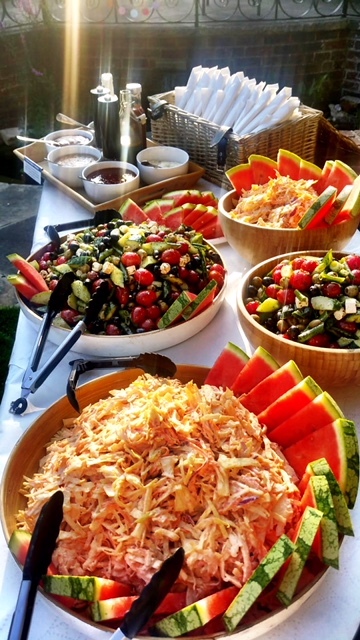 We often cater at corporate events throughout the year and are met by some extremely meticulous customers who want nothing more than to impress their guests and for this; the menu would have to be perfect. It is no wonder that this particular customer hired us then (as he has done the previous two years) this year to cater his end of year party. The illustrious guests included members of the board and his own personal employees to enjoy the feast alongside him. We served spit roasted turkey with seasonal vegetables and jacket wedges for the main but before that they were treated to our homemade tomato and basil soup with a crusty bread roll. The desserts were chocolate torte and profiteroles smothered in cream. I’m happy to say that the guests were very impressed by the meal as was the customer who praised us for getting every little detail perfect, as he requested. 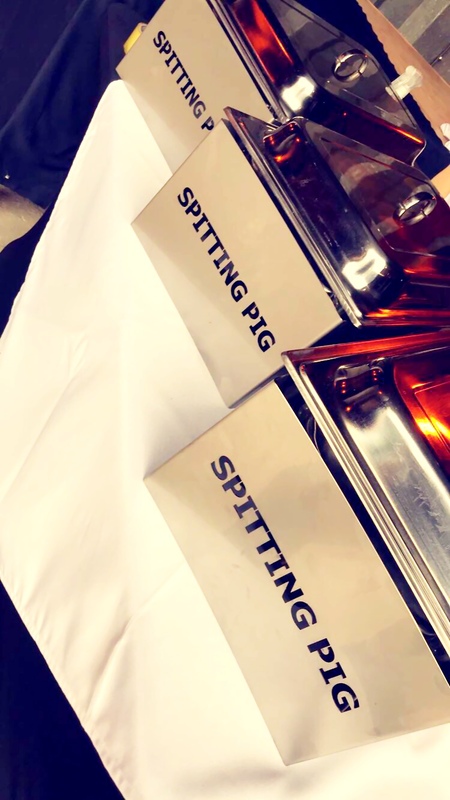 The primary choice for any menu is a spit or tray roasted – our Newham clients pick for themselves which they want – chicken, lamb, beef, turkey, chicken kebab or pig. We also do a cracking gourmet sausage and 100% British beef burger option, and when we say 100% we really mean it, your event chef is responsible for making the sausages and burgers and the produce is bought from independent, regional farms. We don’t import cheap stuff from huge factories. Meat is our bread and butter and we value its quality more than anything else – That’s par for the course if you’re a hog roaster. Roasted meats, whether cooked whole or we’re just cutting a large joint of meat, taste better. There’s a very good science as to why our hog roast Newham food tastes so good, it’s not just in our clients imagination when they tell us that they didn’t think you could get pork as tasty as we do it. The secret is that for a lot of pork you can buy at the shops, even if it’s from a butcher; the cuts tend not to be very fatty and are from areas of the pig which aren’t the best for rich flavour; the result is that you can be left with meat that’s a tad salty and often dry. Because we’re cooking the whole hog, which includes really tasty bits that people often don’t think to buy because they’re less glamorous, the superior flavour and succulence transcends throughout the whole pig. The juices from the best bit travel through the pig, especially as the spit is turning and encouraging this to happen, and so what you’re left with is pork of a much higher quality. Have you ever noticed that chicken breast ate off a whole cooked chicken tastes better than chicken breasts individually? Well it’s the exact same principal with pig, and with everything else we spit roast! That’s why spit roasting is the best option for catering at your event, and why every time we’re on a job in Newham, be it in Beckton or Manor Park, people look surprised and delighted in equal measure at the succulence and rich flavour of our hog roast Newham pigs, throw in some crackling, stuffing and apple sauce and we’re leaving other caterers for dead. To realise the full scope of what we do just browse the website, there’s several pages to look at for catering and hog roast hire Newham, the menu page for hog roast catering has several different sections and no matter what your event is you should find something to your taste. If you don’t, worry not, contact us by phone to discuss a bespoke hog roast option.